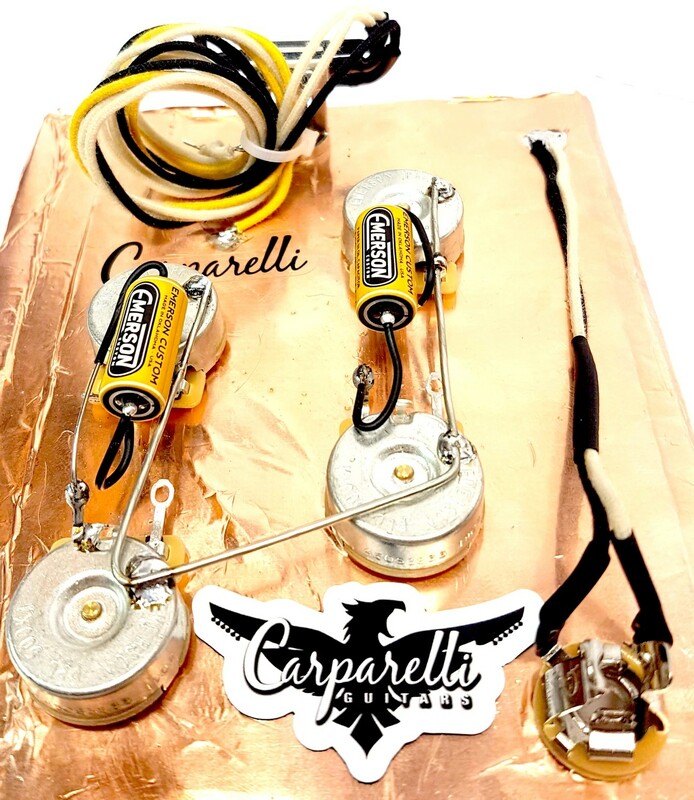 From a Guitar-Tech standpoint Carparelli Guitars felt the need to create our own home-grown Pre-Wired Kits for the Guitar/Bass World. 10" AeroSpace grade 22g bridge ground wire. This is a PREIMIUM KIT. Rolls Royce Material. ALL EMERSON CUSTOM PARTS.